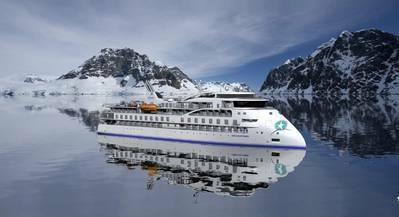 Miami-based SunStone Ships signed to build a sixth Infinity-class expedition vessel in China, continuing the European designed, Chinese built concept. The passengership operator said in a press release that it already has a long-term charter agreement in place. Delivery is set for September 2021. Infinity Class Vessels are 104 meters long, and 18 meters wide, having a draft of 5.1 meters. They feature a passenger capacity between 130-200 and a crew capacity between 85 and 115. 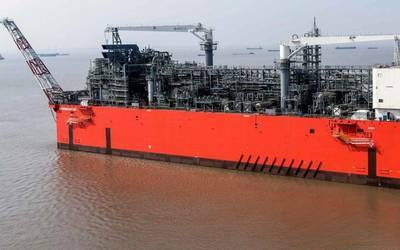 The Vessels are Ice Class 1A, Polar Code 6 and are being built with Safe Return to Port, Dynamic Positioning and Zero Speed Stabilizers. 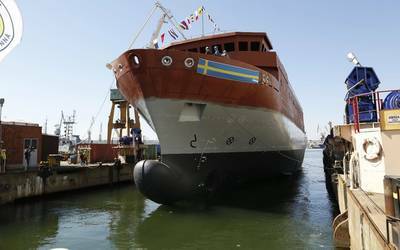 The Vessels are featuring the X-Bow by Ulstein Design & Solutions. They are small enough to give an exclusive atmosphere and yet large enough to yield all expected services and facilities such as a swimming pool, bar and restaurants, lounges, boutique, gym and spa. Current Infinity Class new-builds under way include the GREG MORTIMER, scheduled to be delivered August 2019, the OCEAN VICTORY in September 2020, the OCEAN EXPLORER in February 2021, the OCEAN ODYSSEY in March 2022 and the OCEAN DISCOVERER in September 2022.